WE ARE ROLL OFF SPECIALISTS. 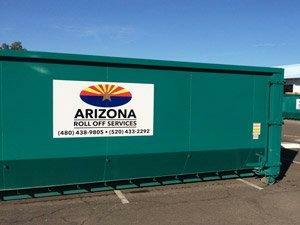 We deliver & service ROLL OFF DUMPSTERS from special use containers to industry standard dumpsters. Call us today & we’ll help you choose the right size dumpster for your job. We’ll get it there on time. We’ll place it where you need. We’ll service it when it’s full. We’ll remove it when you’re ready. We’ll make sure it works for you. Tight spot, tricky driveway, crowded job site, in a rush? Managing a business takes hardwork, time and dedication, whether your business is big or small. 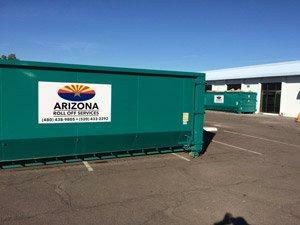 Arizona Roll Off Services is dedicated to providing your business with a selection of waste removal services that will make your life easier and take the waste off your hands (and mind). Every business owner wants to save time, simplify management, and have a clean environment that’s waste free and safe. 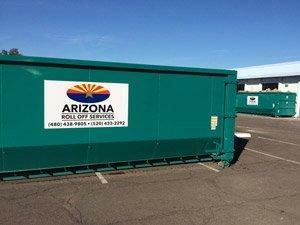 By taking care of both your recycling and solid waste services, Arizona Roll Off Services can help create a safe and attractive environment for your employees and customers. From our drivers to our owners, we have decades of experience in the waste disposal business. When it comes to trash removal, we’ve seen it all, and we know what it takes to get the job done. We’ll put our dedication and experience to work for you to deliver the kind of efficient and reliable service that you deserve.